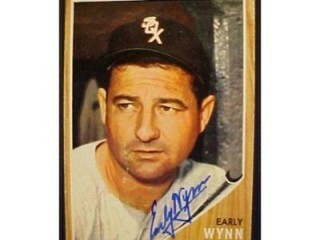 No hitter was eager to bat against Early Wynn. One of baseball's most feared pitchers, he pitched 23 seasons, refusing to quit until he had won 300 games. to Cleveland. In baseball terms, it was like going from hell to paradise. The Indians had won the World Series in 1948 and were developing one of the best pitching staffs in baseball, with Bob Feller and Bob Lemon as their aces. Their pitching coach, Mel Harder, a 1930s mound star, took Wynn under his wing and taught him to throw a better curveball, slider and knuckleball, making him into a more complete pitcher. "The biggest thing that ever happened to me in baseball was Mel Harder," Wynn later said. "He taught me fundamentals, so I could find the trouble when my curve and slider weren't breaking. Harder made me realize that nothing concerns a pitcher except the player at bat."